The Department of Botany endeavors to promote and inspire students to pursue higher studies in plant sciences, orienting them towards learning and investigation. The department has well equipped laboratories to carry out practical classes and research work, a museum and a botanical garden. A unique feature of the department is its faculty members which includes experts and active researchers from almost all areas of plant science. 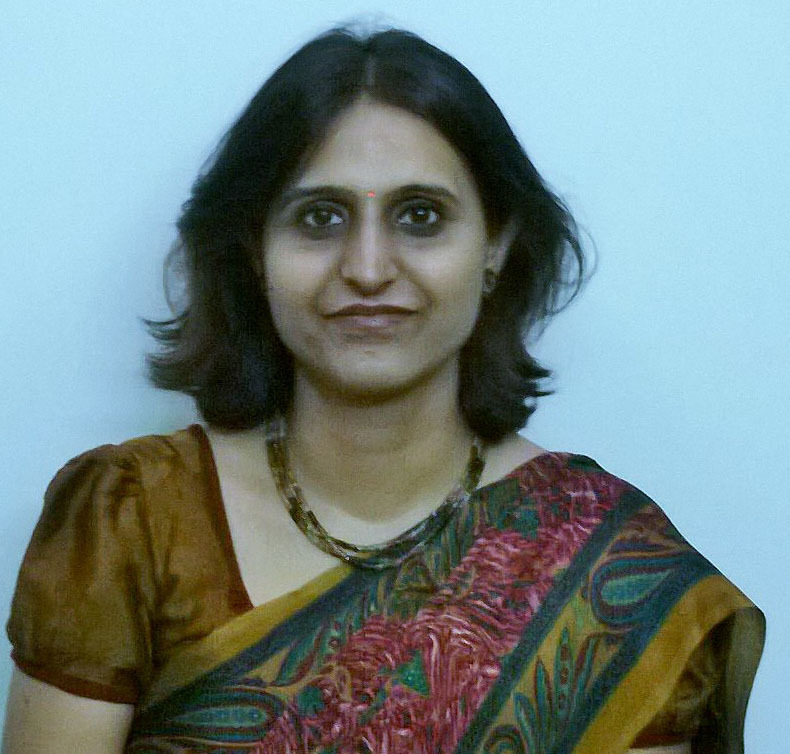 They publish quality research work in reputed national and international journals.The faculty members initiate innovative projects with active involvement of students to instigate scientific temperament in them. Students are encouraged to enthusiastically participate in all the activities of the department throughout the year, thereby constantly evolving them as vibrant personalities. 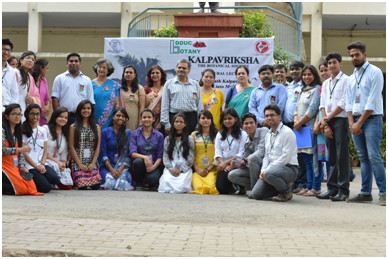 The department has an active Botanical society named “Kalpavriksha”, which organizes events like subject lectures by eminent scientists and scholars, extracurricular activities including awareness programs for preservation of environment, conferences/seminars/workshops, plant identification and various competitions pertaining to the field of Botany. The Kalpavriksha holds its annual festival DELONIX every year in which it organizes various inter- and intra-college competitions. The Department has instituted Pt. DeenDayalUpadhyaya Memorial Inter-college Debate Rolling Shield from the academic session 2015-2016. 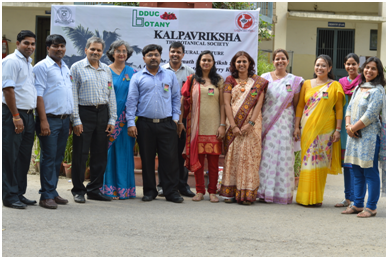 The Botanical Society ‘Kalpavriksha’ publishes an annual journal Contemporary Plant Sciences (ISSN: 2393-8676).The sustained efforts of teachers bring students closer to Mother Nature through botanical excursions. Founded with a vision to empower our students in various upcoming thrust areas of basic and applied sciences viz. microbiology, plant biotechnology, molecular biology, bioinformatics etc., the department provides them the stepping stone to reach higher heights in their career. Delonix'17, the annual botanical festival was held from March 7 - 8, 2017. Various inter and intra-college events like Botanical Rangoli, Leaf Painting, Plant Photography, Botanical Quest were organised. Prof. Amar Kumar, University of Delhi, delivered the Valedictory lecture on “Intricacies of Plant Pathogen Interaction”. 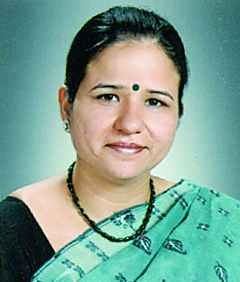 Daulat Ram College, University of Delhi, won the Pt. Deen Dayal Upadhyaya Memorial Rolling Shield for Debate on "Can there be a consonance between urbanisation and nature?" Team from KM College won the Botanical Rangoli Competition. Our students: Priya Suman for Leaf Painting, Kajal Jain and Parul Tiwari for Plant Photography, Shruti Kaushik and Mansi Arora for Botanical Quesy, Jugal Kishore for Creative writing and team of Rupa Kumari, Gaurav Gaur and Shruti Kaushik for Plant Identification Competitions were the winners. 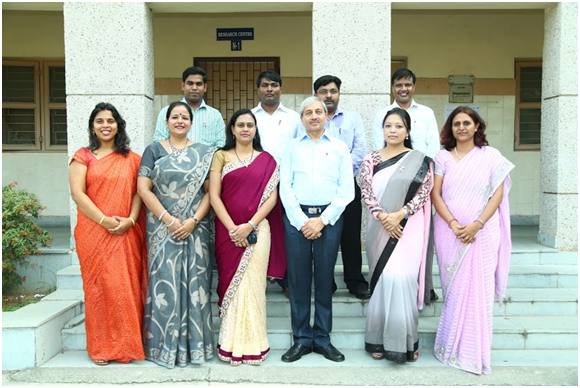 Prof. A. K. Pandey, Department of Botany, University of Delhi, delivered the inaugural talk for the academic session 2017- 18, "Taxonomy and Ethnobotany" on September 28, 2017, followed by felicitation of the office bearers of the society. A Kite Designing Competition was held on January 15, 2018. A Plant Photography Competition on theme "Life as we see" was held on January 24, 2018. Delonix'18, the annual botanical festival for 2018 was held from February 20 - 21, 2018. 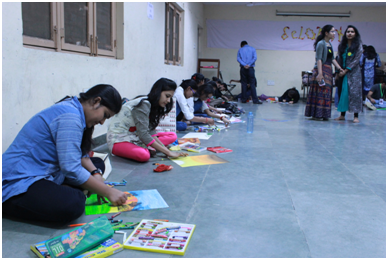 Various inter and intra-college events like Botanical Rangoli, Botanical Quest, Plant Identification competition, Creative writing competition, Plant photography competition, Hall of Fame, Botanical Hunt were organised. Prof. Girdhar Pandey, Department of Plant Molecular Biology, South Campus, University of Delhi, delivered a lecture on “From Genomics to Functional Genomics : Stress Signalling Perspective”. A Poster titled “Synthetic Seeds: A promising method to conserve endangered plant species” by Priya Singh Kushwaha and Kritika Bahuguna, both of B.Sc. (H) Botany 1st year, (prepared under the aegis of DBT Star College Scheme) was selected for National Science Day 2018 celebration organized by ‘Indian National Science Academy’, Delhi, ‘Indian Academy of Sciences’, Bengaluru and the University of Delhi on February 28, 2018 at INSA, Delhi. Botanical Quest, Creative Writing, Plant Identification, Dumb Charades and Botanical Treasure Hunt. 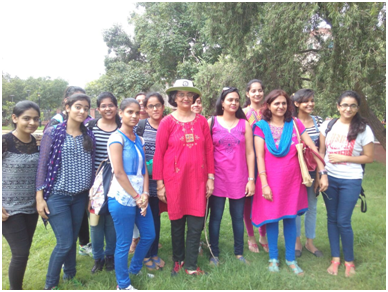 Students from various colleges of University of Delhi enthusiastically participated. This year Daulat Ram College (University of Delhi) won the Pt. DeenDayalUpadhyaya Memorial Rolling Shield for Debate on "Can there be a consonance between urbanisation and nature?" 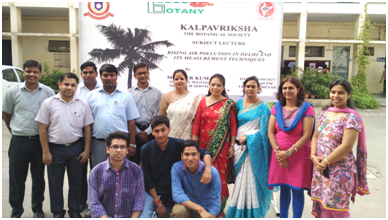 A lecture series was initiated on Aug., 3, 2015 with its first lecture by Prof. Paramjit Khurana, J.C. Bose National Fellow on “The Joshimath Kalpavriksh - A Genomic insight into Mulberry Research”. Second in the series was by Mr. Veer Kumar, General Manager, Alfatech Services on “Rising Air Pollution in Delhi and Measurement Techniques” on Sep 3, 2015. 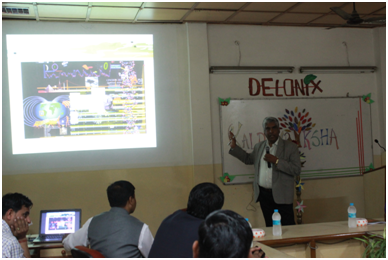 Third subject lecture was delivered by Dr. Rajendra Gupta, (Centre for Education, Science and Culture, New Delhi) on the topic “Walking with Ancestors-Naming Plants and Animals in the Pre-historic World” on Jan 15, 2016. A Botanical Excursion was taken toPachmarhi Biosphere Reserve during Oct, 2015. A total of 40 students visited the Reserve along with staff of the department of Botany. The Annual publication of the Department,” Contemporary Plant Sciences”[ISSN: 2393-8676] Vol. 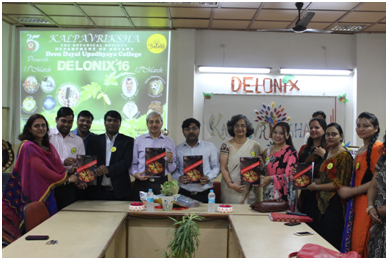 2, Issue 1, was released in March, 2016.“DELONIX”, two days annual fest organised various inter-college student activities like Brushes on strike on the theme ‘Nature or Environment’, Waste-O-Mania and Photography of Plants etc. The Valedictory lecture for the fest was delivered by Prof. K. S. Rao, Department of Botany, University of Delhi titled “Climate Change: Past, present and future implications”. The Department also instituted a shield Pt. Deen Dayal Upadhyaya Memorial Shield for the winner of its annual debate. This year the issue was “Is Botany lagging in the era of Plant Biotechnology?” and the shield was won by a student of KMC, DU. The department also organised weekly activities during the year such as Debate competition on “GM Crops: Future Solution?”, Quiz competition on ‘General Science and Botany’, Paper reading competition on “Contemporary plant sciences”, Power Point Presentations ,Sketching Competitions and so on. 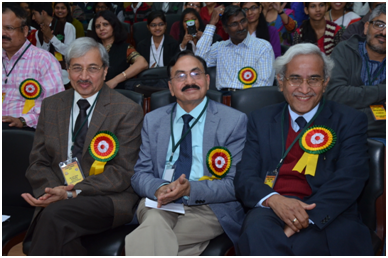 The inauguration of the activities of the society for the session 2014-15 was held on 9th September, 2014. The Inaugural Talk was delivered by Dr. Ajay Arora, Principal Scientist, Plant Physiology Division, Indian Agricultural Research Institute on “Role of Ethylene on Post-Harvest losses in Crops”. The Annual Newsletter of the society, “Contemporary Plant Sciences” which has been assigned ISSN 2393-8676 was released on the same day. The event was attended by a strong gathering of 180 students. Kalpavriksha organized an Intra-Department Debate Competition on 29th October, 2014 on the motion “Human Negligence Convert a Natural Calamity into a Massive Disaster”. Mr. Jyotishman Kalita of Department of English and Dr. Sandeep Kumar of Department of Botany were the judges of this debate. The debate was followed by an Intra-Department Quiz Competition on 1st November, 2014. 17 teams of the B.Sc. (H) Botany and B.Sc. Life Sciences participated in the quiz. Subsequently, an Inter-Department Quiz Competition was held on 23rd January, 2015 where 13 teams across 6 departments of the college participated. The theme of this quiz was “Contribution of India in the Field of Science and Technology”. On both occasions, Pratyosh Gogoi was the quizmaster. Over 300 delegates participated in the conference. A total of 149 papers were presented which comprised of 25 invited papers, 34 oral presentations and 90 poster presentations. Moreover, there were two Young Scientists’ Sessions wherein upcoming original researches pertaining to issues related with climate change were presented by 20 young researchers from various Indian universities, colleges and research institution of national and international eminence. One of the important achievements of the conference was that undergraduate students enthusiastically participated in the conference and presented their posters in a scientific manner. It was an attempt to provide them a platform to interact and learn the nitti –gritty of scientific research from eminent Indian academicians, scientists and young researchers. The conference was culminated with a panel discussion and a set of recommendations to be followed further to fight with the issues related with climate change. Delonix- The Annual Festival of Kalpavriksha was held on 25th March, 2015. The intra-department festival saw four competitions viz. Best out of Waste, Poster Presentation, Salad Making and Live Specimen Sketching. On the same day, the valedictory function of the society was held and prizes for all the competitions held all through the session were distributed.